Coach Kyle has been in the fitness industry since 2009. In 2011 he opened a CrossFit gym which he owned and operated for nearly 7 years. Kyle is an OPEX Associate Coach with numerous other certifications completed. The guidance, knowledge and support that he has received from OPEX has been unmatched by any other system in the fitness industry. 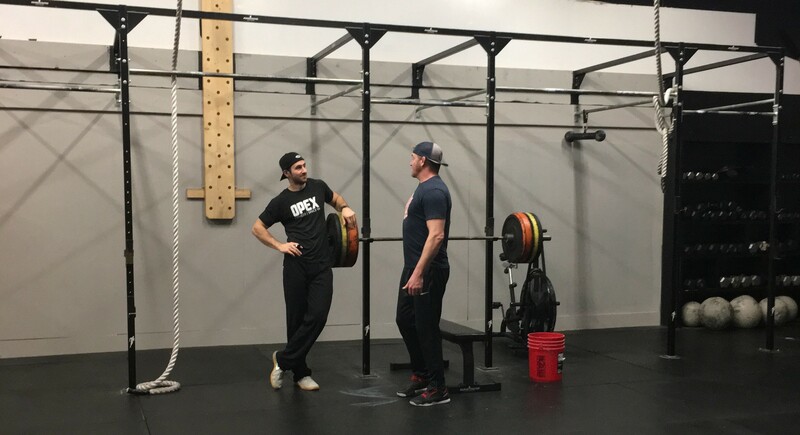 Transitioning to an OPEX gym where Individual Design is how exercise, nourishment, and lifestyle is prescribed has changed his life for the better. Kyle spent 2009-2012 in a group CrossFit setting and found himself constantly injured and not getting the results that he so desperately wanted. He was lost in fitness until he found a Coach who had experience, knowledge and Kyle's best interests and goals in mind. From 2012 to 2015 Kyle flourished in the functional fitness world and enjoyed the journey. He accomplished what he wanted to do and knew that there was a different, better way to offer health and fitness to people, and it was through Individual Design. Kyle is currently taking on new clients for 2018. Email Kyle@opexhampstead.com to schedule your FREE consult.